Routers with higher performance and expandability should be selected for traffic-intensive data centers than the bases. Cisco ISR not only allows selection of bundle models according to the services required at the data centers or bases, but also respond flexibility to changes in the business needs by means of license activation of Cisco IOS technologies and addition of expansion modules. Previously, even the small-scale bases were required to install a wide range of devices including switches, wireless access points and WAN optimization appliances. 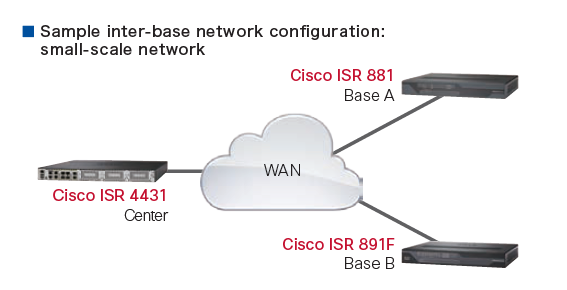 Cisco Integrated Services Routers (ISR) are “super routers” that are capable of integrating the network services provided by these multiple devices into a single platform. 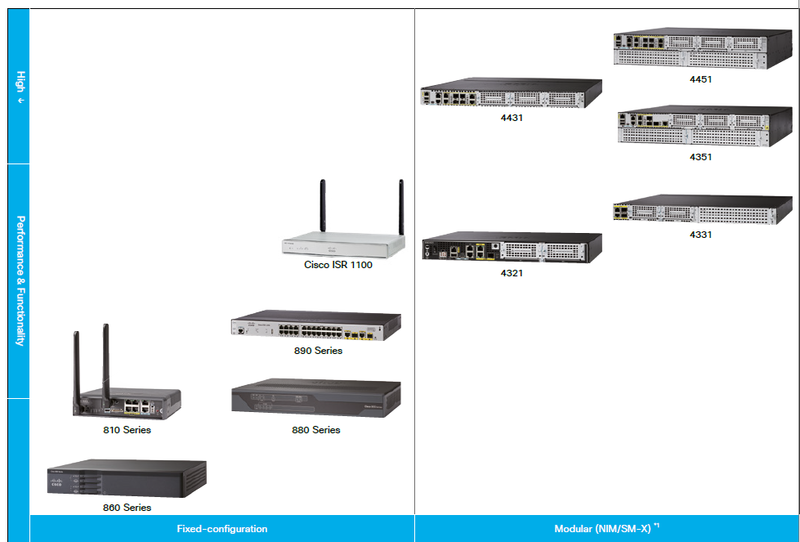 These routers are not only capable of integrating multiple services but also have the flexibility to add new services as required via license activation and/or addition of expansion modules. Adoption of these routers results in simpler network configuration, helping to reduce the device costs as well as operation and maintenance costs. 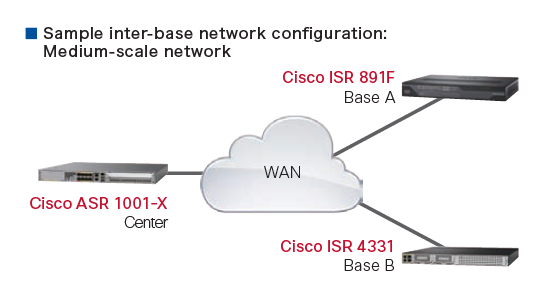 Cisco ISR can integrate the Routing and SD-WAN service & other services into a single unit! >Find the right Cisco routing solution for your business.